Open to new and old players aged 11 and upwards. The gates open at 9am, games start at 10am and end at 4pm. The day is always varied and never quite the same, we alter and change the game over the year taking into account the level of experience on each team and the weather. Player experience is always split 50/50 so there is never a set home team. Lunch is generally around 12:15 for 45 minutes and you are welcome to a free tea or coffee. We have limited juice and sweets, so we always recommend players bring a packed lunch. 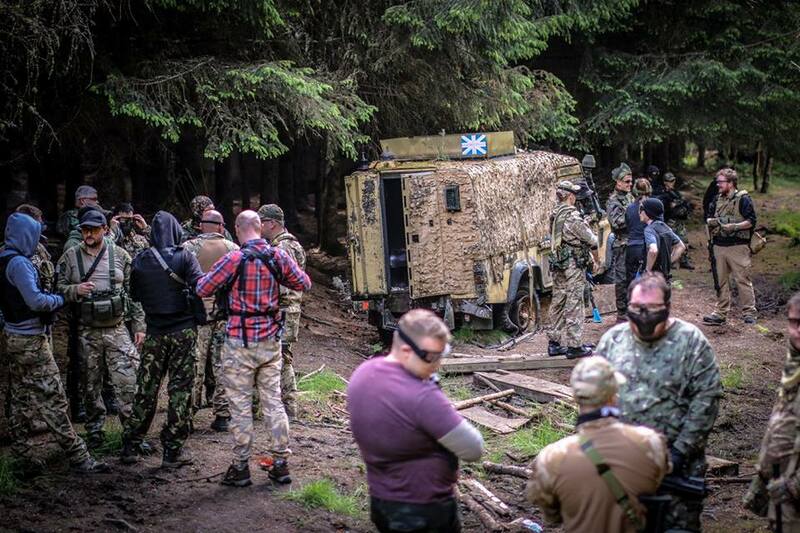 New players can hire full equipment from us, this has to be done before the game day either over the phone or in our store, Land Warrior Airsoft. No matching events listed under Regular Days. Please try viewing the full calendar for a complete list of events.